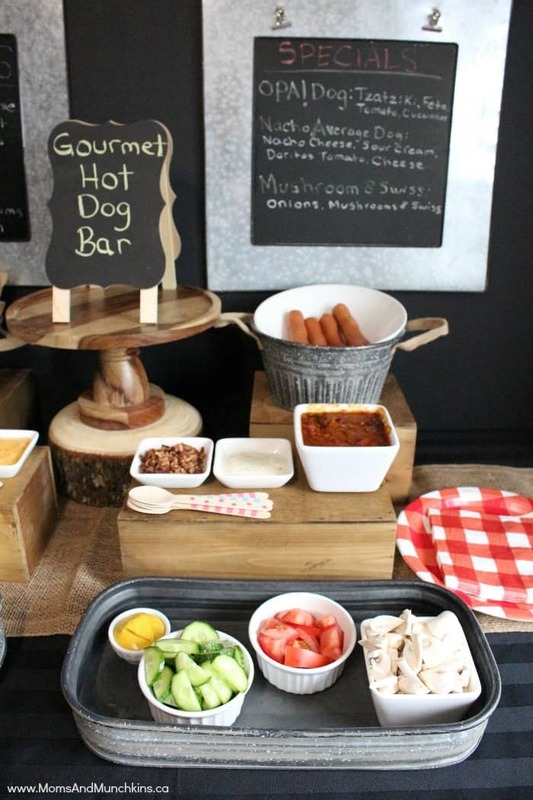 A gourmet hot dog bar is such an easy idea for a summer party! 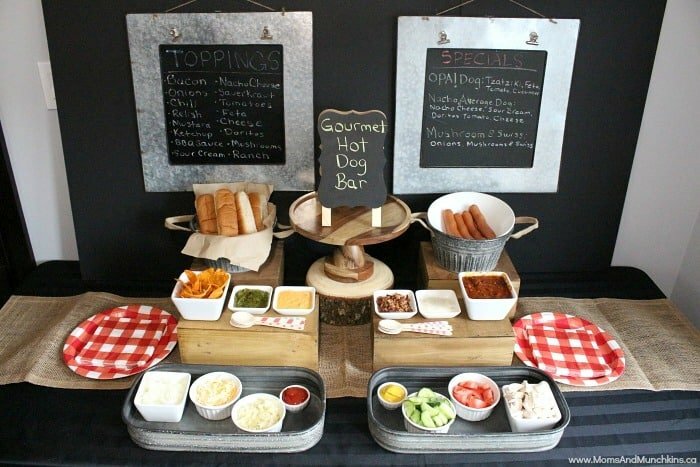 Hot dogs and sausages are usually a hit with all ages and by setting out all the toppings in a buffet style, guests can load up their dogs any way they’d like. 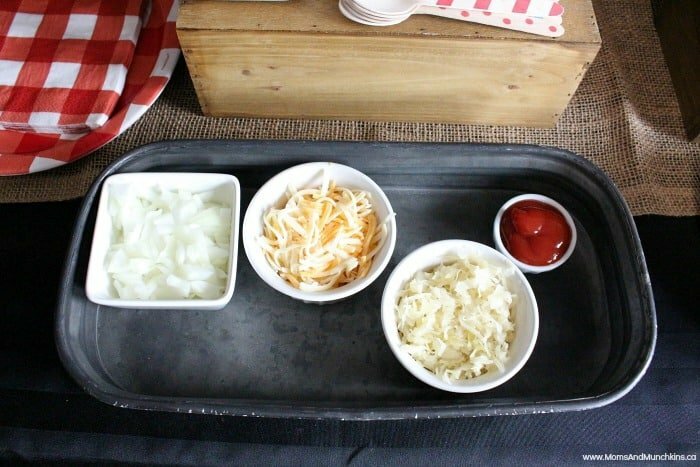 You can prepare all the toppings the evening before the party so all you’ll have to worry about on party day is setting everything out and cooking the hot dogs. Super easy! 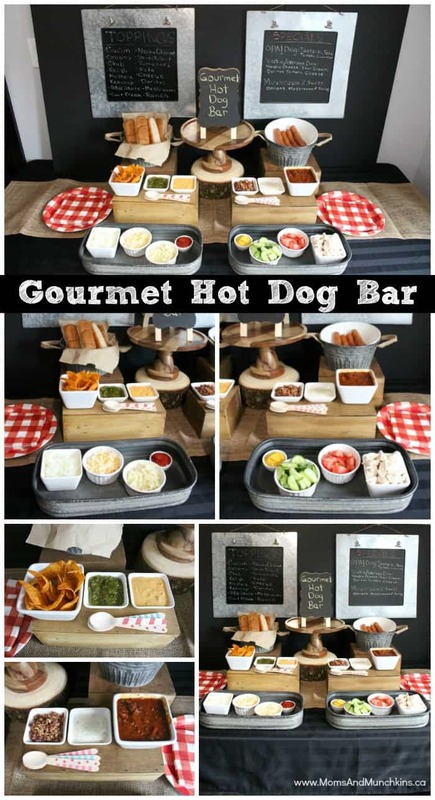 My latest party – Gourmet Hot Dog Bar – was featured in Pink Magazine Saskatchewan so you can head over to the magazine for all the party details, topping ideas, special menu, table decorating ideas and more. 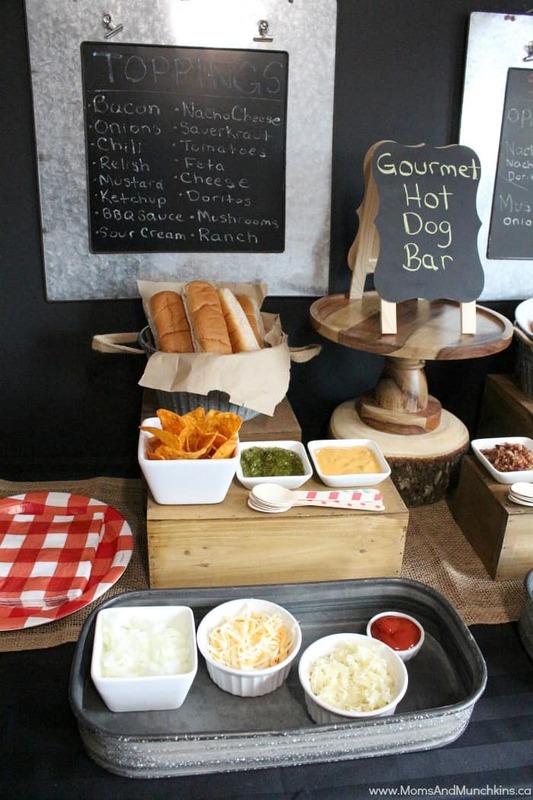 I’ll share all the party photos here with you to help you brainstorm your own party ideas. 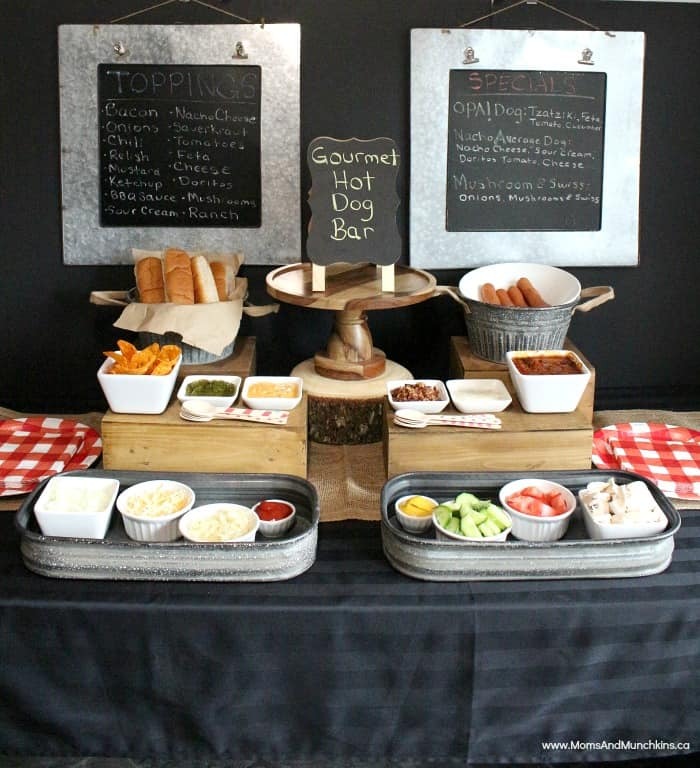 You could set up this party buffet inside or outside but I always prefer keeping the food inside. It’s easier to set up (no wind blowing things over), it keeps the bugs out and you can keep food cooler for longer. 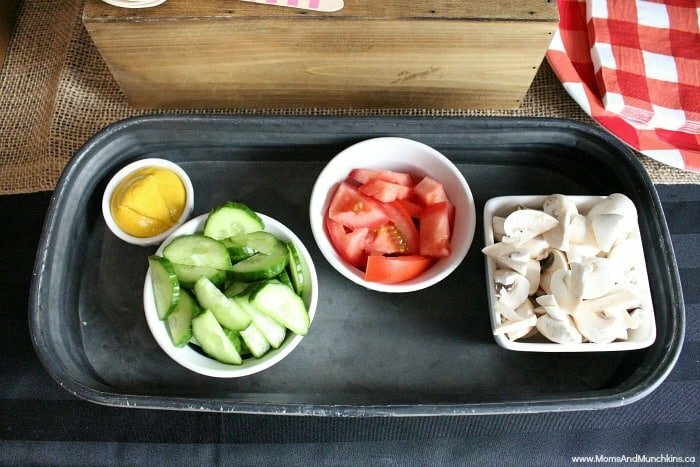 If you are going to set it up outside, consider how you’ll keep bugs out and how to keep items that should be cool (like mayo) chilled. 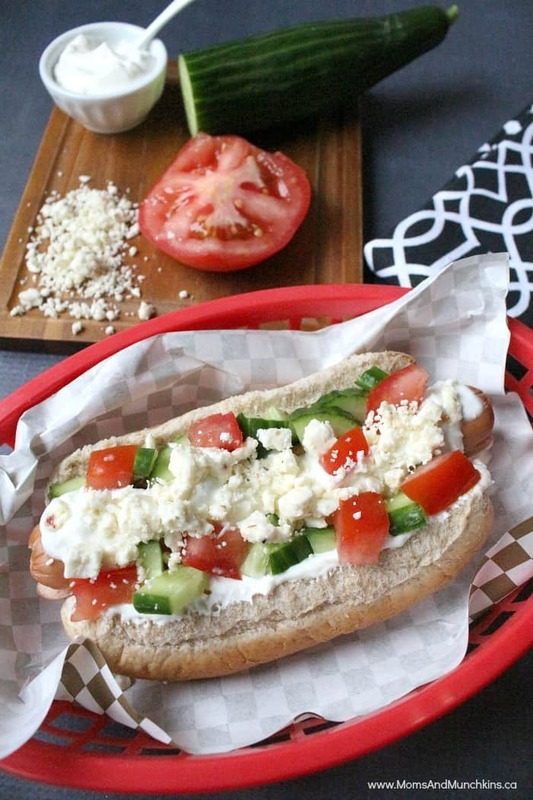 For tasty recipe ideas, check out these Gourmet Hot Dogs – OPA! 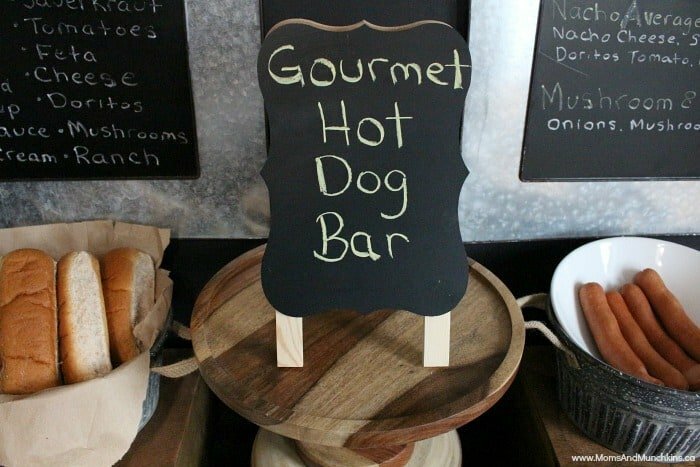 Hot Dog, Nacho Average Hot Dog and Mushroom & Swiss Hot Dog. 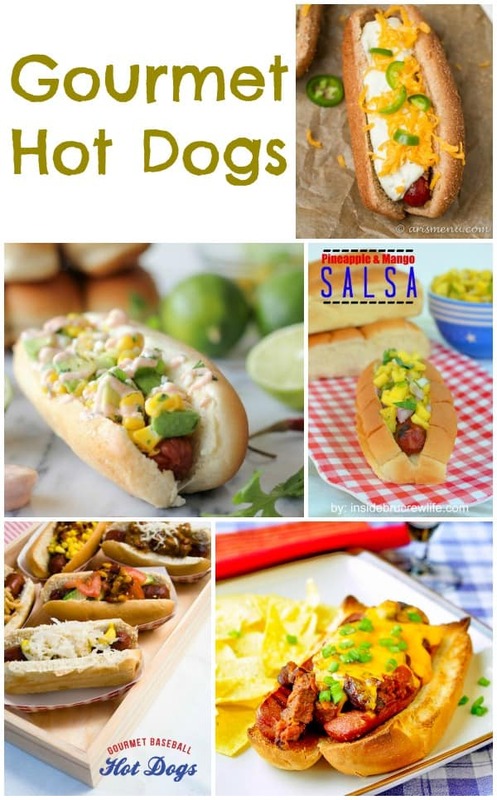 We also have a delicious collection of gourmet hot dog recipes from other talented bloggers. 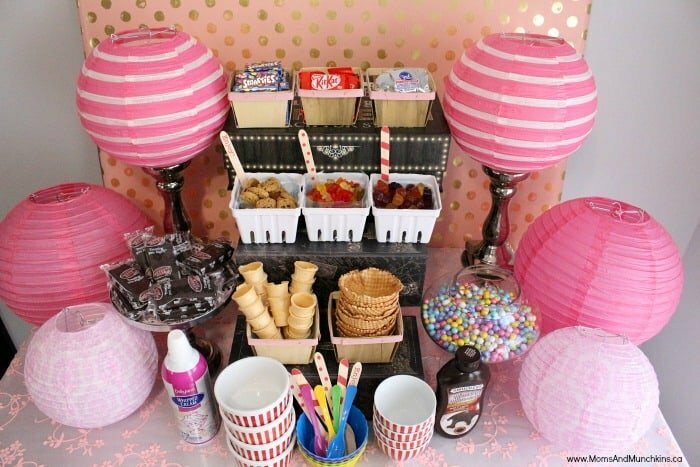 For a dessert idea that’s also a fun buffet style, check out this Ice Cream Buffet Party! 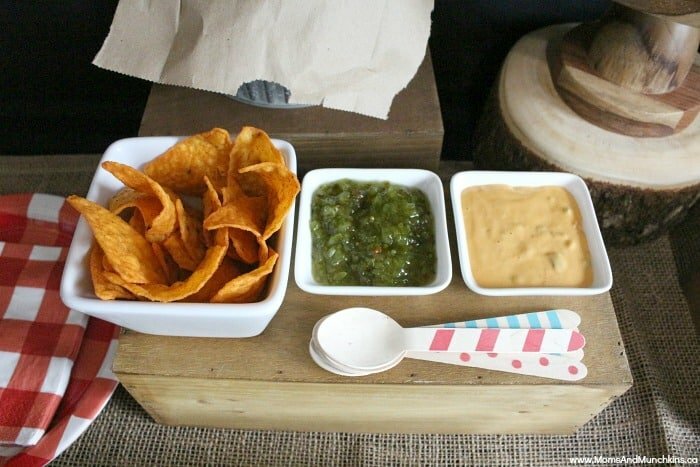 Lots of delicious treat ideas here that are perfect for a summer party. You can set out all the candy the night before so all you have to do is set out the ice cream right before dessert is served. 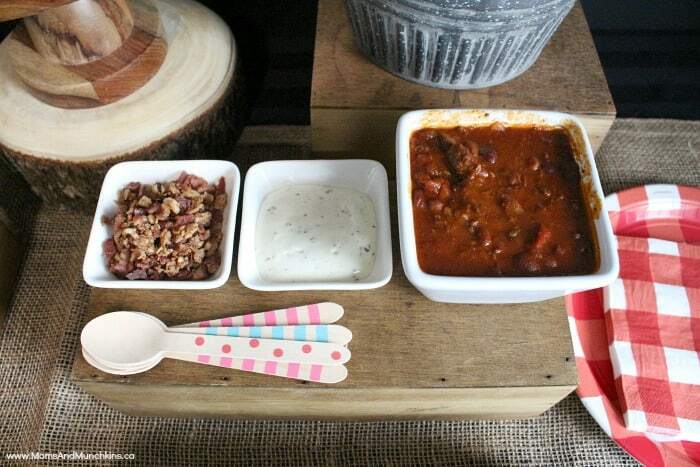 We’re always adding new ideas for parties plus tasty recipes. Follow us on Facebook, Twitter, Pinterest and Instagram for the latest updates.